Offering great opportunities, the global military UUV market is projected to grow to US$ 1,404 million in 2025, at a CAGR of 7.4% from 2018 to 2025. 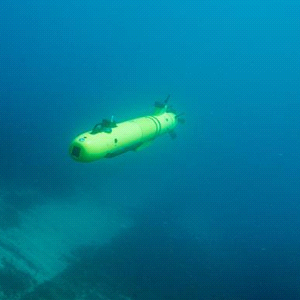 Unmanned Underwater Systems have been in use for years but mostly in MCM operations. The latest technological advancements, increase in global defense spending and major R&D programs will provide a solid ground for the fast expansion of the market. New technologies and UUV concepts will allow users to launch them not only from ships but from ports as well. UUVs will definitely change the face of naval operations, in a world where major powers are competing again in littoral and blue waters. To understand how important these systems are, someone must put them in a wider political and socio-economic context. The majority of the Earth’s surface is covered by sea, 40% of the population lives within 100 km from the coastlines, shipping is the blood of global commerce, many natural resources are found in the mostly unexplored oceans, security risks are on the rise and the littorals waters are an area where naval forces will have to operate in the future. Being unmanned, UUVs will allow naval and security commanders to keep their staff out of harm’s way, and increase operational tempo in high threat areas without risking large and expensive platforms. When combined with USVs, UAVs and C4ISR systems they will fill-in the gaps that would otherwise be too risky or too expensive to do so, thus offering a crucial operational advantage against low-intensity or peer-to-peer threats. For all these reasons the use of Unmanned Underwater Vehicles will bring a revolution in military affairs and changes in operations of oil & gas, engineering, marine science and other civilian activities. Market Forecast’s report, the Unmanned Underwater Vehicles for Defense & Security, Technology and Market Forecast to 2025, provides a detailed analysis of the USV market, focusing on the current and future technologies, the requirements and the opportunities of a market worth in excess of US$ 8 billion over the forecasted period. The Unmanned Surface Vehicles for Defense & Security, Technology and Market Forecast to 2025 report is an important tool for those who want to map the competition and the extensive consolidation that takes place, in order to remain a step ahead. Business developers who want to gain an insight of the latest technologies, defense budgets and spending trends around the world, will find this report a valuable tool for their decision-making. Global market share for all segments of the market in value for the 2018-2025 period. Current available and future technologies. Contracts and major planned acquisition programs. Concept of operations and understanding of the use of UUVs in military and security, as well as civilian operations. Presentation of the drivers, inhibitors and macroscopic factors shaping the market. Company profiles for the leading companies, including financial information and main products. The report includes detailed financial data of the value of the market based on stated and derived opportunities for UUVs and complementary platforms and systems. Finally, the reader is provided a Porter’s 5 segments analysis to ensure that the strengths and weaknesses of the market are fully identified, so as to facilitate the understanding of the very promising UUV market in the coming years.